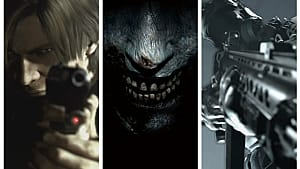 While Resident Evil 7 may be focused more on the survival horror side than the action side, there are still plenty of weapons to be found in the game from tried and true axes all the way up to a flamethrower and grenade launcher! 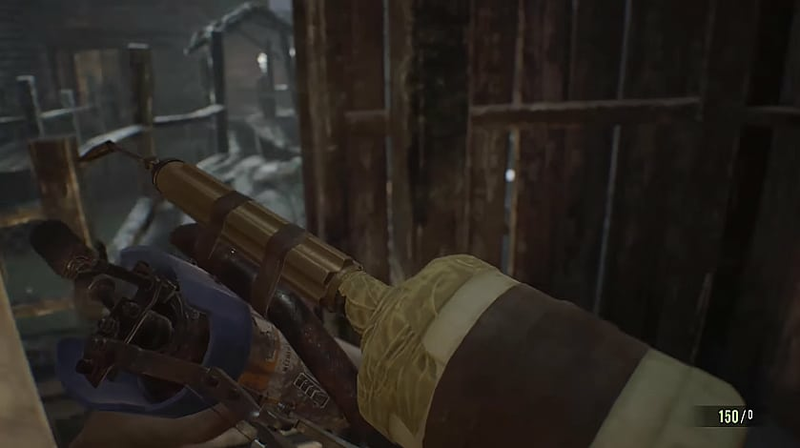 Below we cover how to find every single melee and ranged weapon in the game. 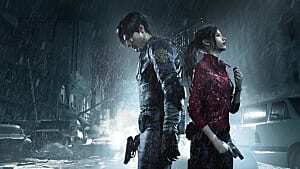 As several of these weapons are tied to boss battles or reaching certain points in the main story, there are some minor spoilers below -- so proceed at your own risk! Note that a few weapon-type objects (like the crowbar) only appear in your inventory for a short time during the story and then are immediately taken away, or you can only use them during VHS flashback sequences, so those aren't covered. 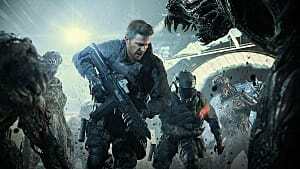 Your standard issue front line weapons may not have been very helpful in the third person action RE games, but this time around they are indispensable for keeping members of the Baker family at bay while you escape, or for taking out creatures like mutated insects. 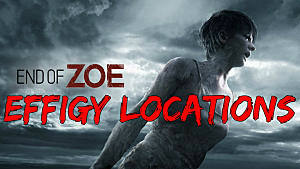 This one is acquired as part of the main story near the beginning of the game when you are attacked by Mia, so it can't be missed, but unfortunately its also lost after you embed it in her shoulder and end the fight, so you won't get to dismember too many creatures with this one. 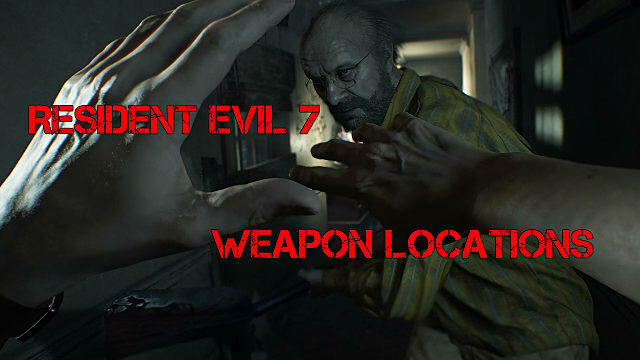 Your basic melee weapon, this one is handed to you during the main story by a deputy in the Main House 1F area. 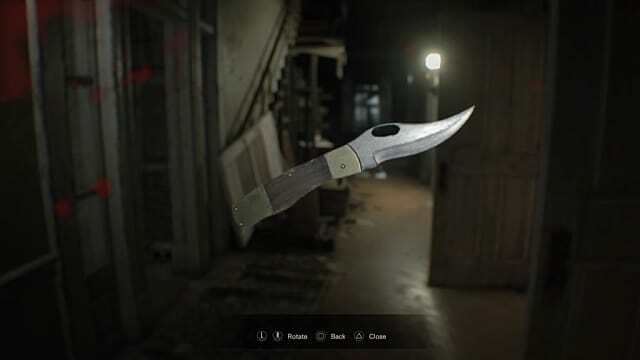 Not the greatest weapon, the folding pocket knife is mostly for blocking and opening objects, but can actually be useful against the insects in the first Marguerite fight. This upgraded version of the basic pocket knife is located in the Wrecked Ship 2F area near the elevator. Also mostly for blocking, it does more damage than its smaller counterpart. Although there are fewer guns overall than in many of the previous entries, the bulk of the weapons you'll be dealing with in Resident Evil 7 are traditional pistols and shotguns. 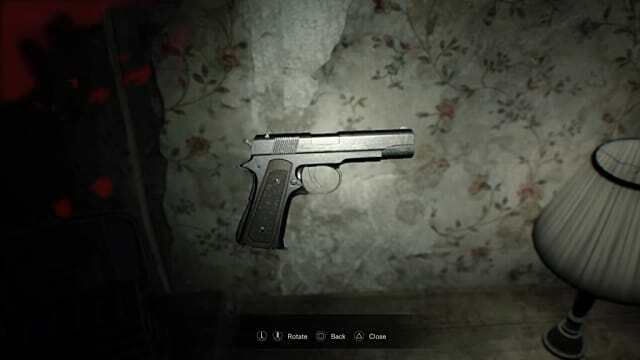 Initially this handgun is found in the attic near the beginning of the game after you lose the axe while fighting Mia, however it is confiscated when Jack knocks you out and brings you to the dinner table. Another M19 is available when you go inside the trailer of the yard area, but it is sadly broken. You can fix it with a repair kit, and a kit is helpfully available nearby in the broken area under the deck of the nearby house. Shortly after the deputy gives you the folding pocket knife, this Glock can be found in the garage of Main House 1F just before the boss battle with Jack Baker. 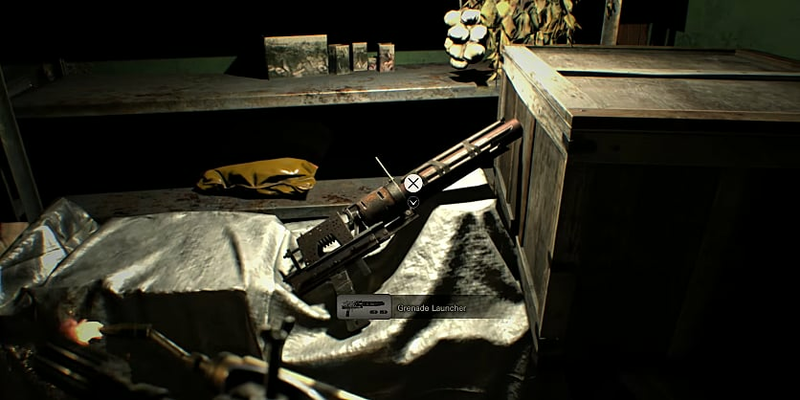 In the Wrecked Ship 1F area, head into the safe room to find this gun sitting in a drawer by the save tape recorder. 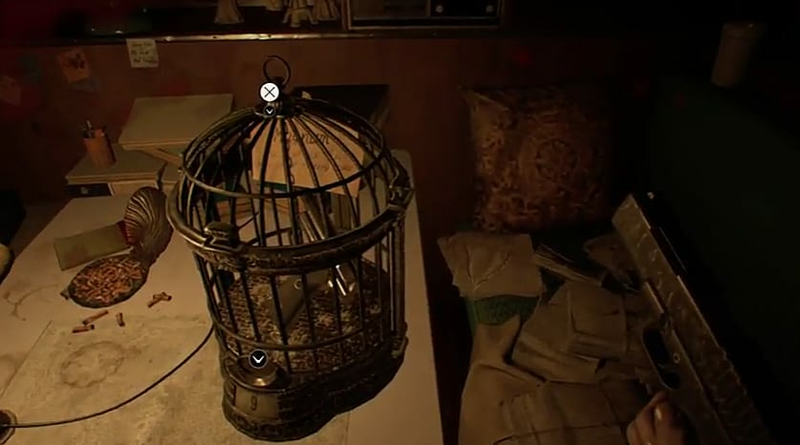 In the trailer found in the yard area is a bird cage that can only be unlocked if you insert 9 of the hidden antique coins scattered across the game. The 44 Magnum pops out of the cage once all 9 coins are spent. It's pricey, but well worth it, as this bad boy can really knock back enemies or take them down quickly with head shots. 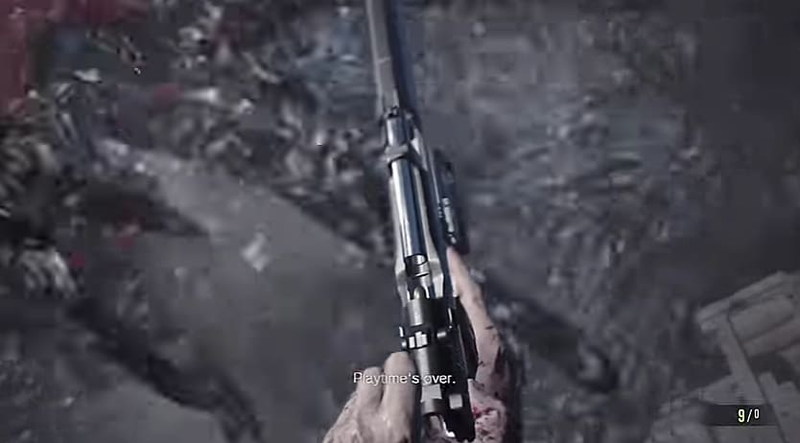 This gun is picked up during a cutscene part way through the final boss battle. 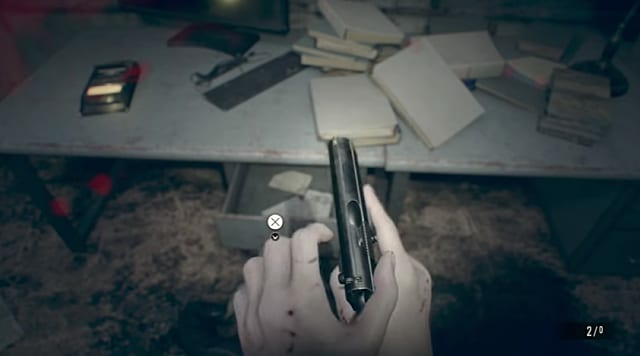 If you beat the game on any difficulty though, the gun will be available for your next playthrough. Inside the main hall of the Baker residence is a shotgun sitting on a bust. 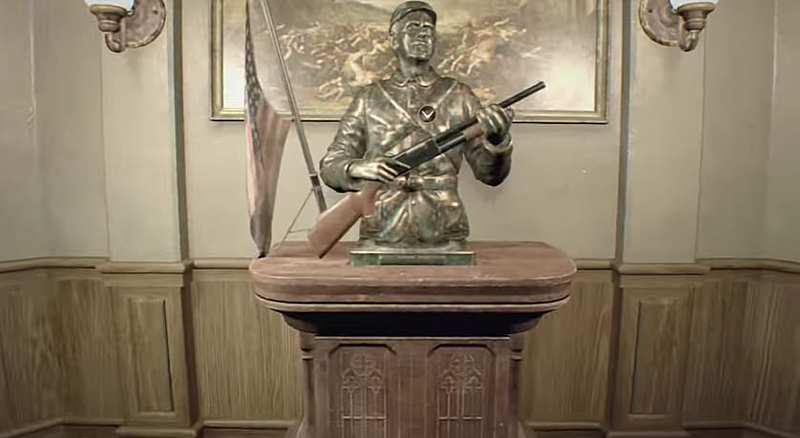 In order to take it and leave the room without the doors locking, you have to replace it with either the wooden model shotgun or the broken shotgun found by using the scorpion key. Check out our full guide right here if you haven't picked up either of those items yet. 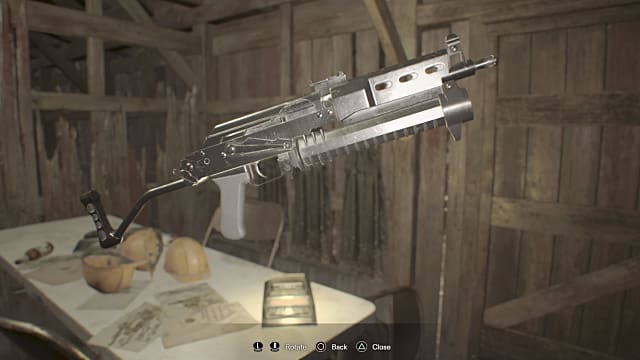 Instead of using the broken shotgun found behind the scorpion door in the billiards room to get the M37, you can instead use a repair kit on it to get the more powerful M21 version. 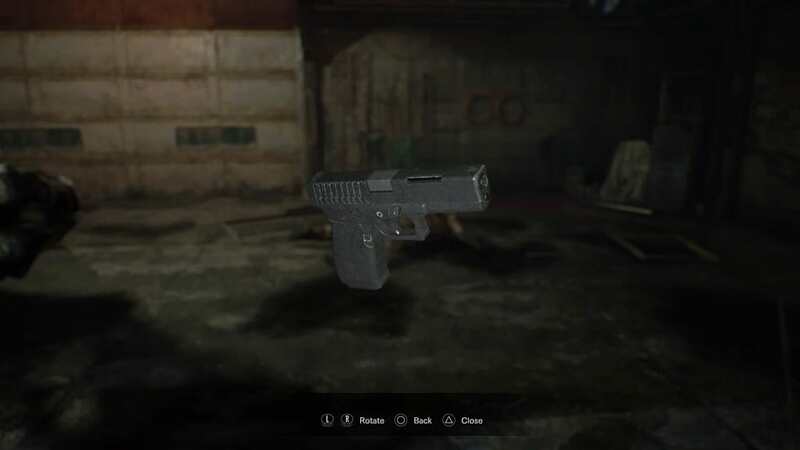 Although you will get to play with this during a flashback VHS sequence, to get the SMG for Ethan you have to grab the captain's key found on the second floor bunk of the wrecked ship. From there, head up to the fourth floor and unlock the locker in the captain's room. 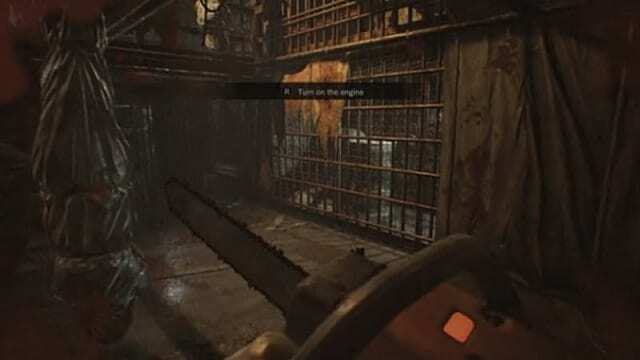 Who wants handguns and survival knives when you can use grenade launchers and chainsaws?!? 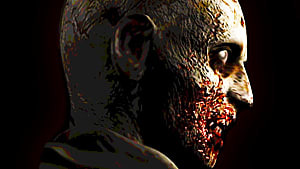 Considering how heavily RE7 pulls from The Texas Chainsaw Massacre, of course it was only a matter of time before you get your hands on one of these bad boys. 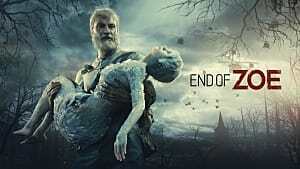 This one is found on a gurney during the second boss fight with Jack Baker. Inside the main house, go to the room with the fireplace and the stuffed deer and unlock the crow door using a crow key. The grenade launcher is in the storage area behind the locked door. This essential flamethrower weapon has to be combined with two parts. The Burner Grip is found on the balcony of the old house (overlooking the swamp) inside a plastic garbage can. Outside the building on the wooden piers sticking out of the swamp, take the right hand path (the one you don't have to lower with fuel) and go through the door into the shed to find the nozzle. Now just combine them to make the Burner!